Your business has moved well beyond the start-up phase, and you rely on your computer systems for continuing day-to-day operation. You can’t afford the cost of network failure or data corruption, and you need a reliable, uncomplicated way of managing your network. 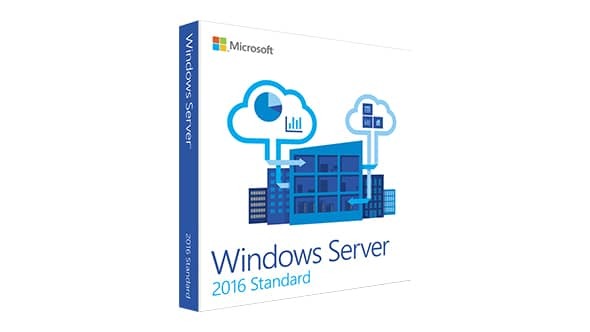 Microsoft Windows Server 2016 Standard is right for you. Windows Server 2016 Standard includes everything that your business needs to ensure uninterrupted operation. Core features include shared file systems and printers for up to 75 users, automated daily backups and remote access. Windows Server 2016 Standard also provides centralised email and diaries for all users, using Microsoft’s proven Exchange 2016 package. You can also enhance your company-wide systems by adding an intranet, or internal website. Providing a dedicated internal resource that has the same flexibility and scope as the Internet is a major step towards improving personal productivity. Field based staff can use a local Internet connection to read and send emails, access shared files and folders on your in-house server, connect to another computer on your network and browse your intranet. Never again will you have to accept “I wasn’t in the office” as an excuse for missing a deadline. There is plenty for the technical contingent to enjoy as well. Microsoft’s Windows Servers Update Services, or WSUS 3.0, ensure that not only your server, but also each PC connected to the network, receives automatic updates with latest versions of all installed software. The risk of security failure is minimised, and incompatibility issues eliminated. As you would expect, your network administrator maintains overall control of “who does what” and “what happens when”. Access for office-based and remote users is carefully defined via an easy-to-use management console; scheduling backups is equally straightforward. You don’t need to employ a team of dedicated IT staff to keep things running.